Let October 15 go down in Singapore history as the day the music died. Blu Jaz Cafe announced that it received a Notice of Cancellation of its Public entertainment Licence from the Singapore Police Force last week, which means that it'll no longer be able to hold live performances. 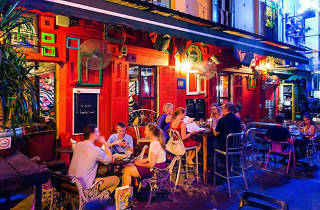 The music venue that bathes the corner of Bali Lane with its neon lights has brought us some of the best memories of Singapore's music, comedy, poetry and nightlife. Previous stage takeovers include local wisecracker Fakkah Fuzz, soul crooner Charlie Lim, jazz cool cats keyboardist Aya Sekine and saxophonist Nicole Duffell, and more. The versatile Piedra Negra counterpart is also one of the best places to broaden your music horizons, serving bass-quaking reggae, afrobeat and Latin music alongside smooth jazz, hard-hitting hip-hop acts and special guest DJs. This popular alfresco joint has been attracting bustling crowds for the past 13 years. However, as demand for live local music has grown, the intimate first-storey space – which caters for only 43 people including staff – has experienced overcrowding, sometimes holding 20% more than max capacity. This, along with noise issues, caused the venue to exceed the 24 demerit point allowed and resulted in the Singapore Police Force revoking is licence. This jeopardises regular and scheduled performers, as well as staff who have called the venue home for the past few years. 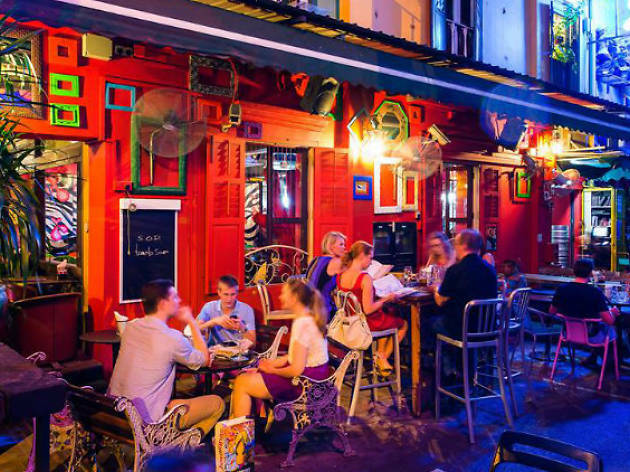 Don't let the good things come to an end – neighbourhood association One Kampong Gelam has issued a letter of appeal of Friday to protect the jazz establishment and you can further help save this gem by signing its petition here. Alternatively, you can pen an appeal letter and address it to Blu Jaz Cafe by October 17.